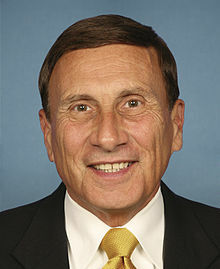 Rep. John Mica, R-Florida, is demanding to learn more about the FBI’s response to Omar Mateen, the man who opened fire at a nightclub, killing 49 people. Mica said he wants to know whether the FBI missed clues before the shooting and what the bureau knew about Mateen when he was previously investigated, WFTV reports. Mica is calling for a congressional hearing to get those answers. Mica suggested that the FBI should have done more earlier but didn’t because of political correctness. Posted: 6/30/16 at 9:45 AM under News Story.